Robert Frost - poet, farmer, naturalist - lived throughout New England (and beyond), before eventually settling in Ripton, Vermont. You may have read Robert Frost’s poetry in school, especially if you grew up in New England where he is often required reading, but there is more to the man than his poems. Frost was born in San Francisco in 1874. His father died when Frost was just eleven, and the family subsequently moved to Massachusetts to be near Frost’s paternal grandfather, William Frost, Sr.
During his teenage years he briefly attended Dartmouth College before furthering his studies at Harvard University. He married Elinor Miriam White when he was twenty-one, and the couple lived in Cambridge, Massachusetts. Just prior to his death, Frost, Sr., bought the couple a farm in Derry, New Hampshire which Frost worked, as well as continuing to write. When the farm ultimately failed he taught at Pinkerton Academy in town from 1906 to 1911. A short stint at New Hampshire Normal School (now Plymouth State University) in Plymouth followed, before the family sailed to the United Kingdom where they finally settled just outside London. During this time, Frost wrote some of his most prestigious work, but the outbreak of World War I led him and his family back to the United States in 1915. The Frosts bought a homestead in Franconia, New Hampshire, moving to Shaftsbury, Vermont five years later. Frost worked his lands, taught, and wrote poetry until Elinor’s passing in 1938. Since 1921, Frost had spent most summers teaching at the Bread Loaf campus of Middlebury College in Ripton, VT, and following his wife’s death he moved to Ripton permanently. He remained a teacher at the school until his death in 1963. Frost lived close to the campus on a hilltop farm - Homer Noble Farm. He divided his years between summer and fall in Vermont, and winter and spring in Miami and Cambridge, Massachusetts. 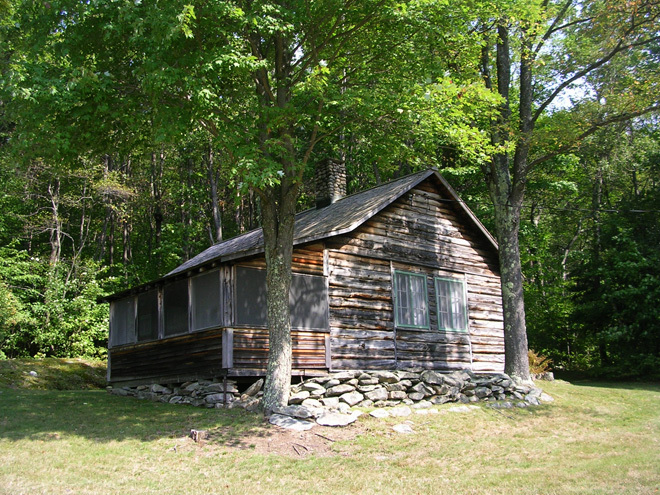 Over his life, Robert Frost lived in many places, most of which are happy to claim him. 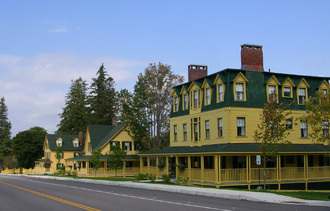 There are homestead museums in Derry and Franconia, New Hampshire, and Shaftsbury, Vermont as well as historic homes in Cambridge and Ann Arbor, Michigan. A guesthouse in Key West is named for him as he wintered there for sixteen years. Frost’s presence in each place he lived remains significant, no matter how brief his stay. Despite his very short matriculation at Dartmouth College, which lasted only two months, he is memorialized in nearby Etna, New Hampshire, by Robert Frost Lane, a short, dead-end road with spectacular views off King Road. 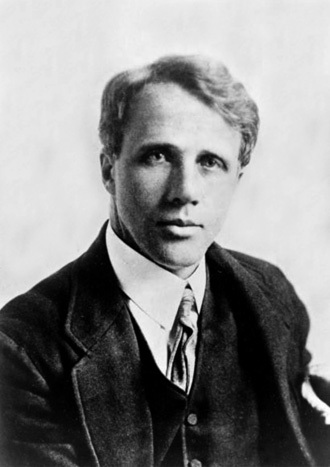 There is also a Robert Frost Lane in nearby Quechee, Vermont, as well as Robert Frost Circle in Colchester, Vermont. There is even a multi-unit brownstone in Denver, Colorado. 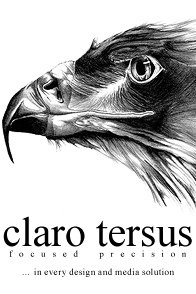 His pervasive presence shows his significant contribution to both American literature and society. 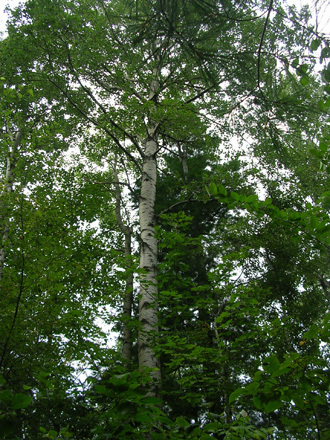 Today we can look upon the birch trees and imagine our own connection to Robert Frost’s world, as well as our childhood. The farm is part of Middlebury College’s Bread Loaf campus.